Offering you a complete choice of products which include sandalwood ambari, sandalwood knives and wooden laughing buddha statue. Packaging Details: We used to export quality packing . We are engaged supplying Sandalwood Knives product. Which is made by white wood & sandalwood. This sandal wood paper knife is one of the Sandalwood & wooden handicrafts product. This sandal wood paper cutter is made in various design and goods wok. Wooden paper work is animals and figures. 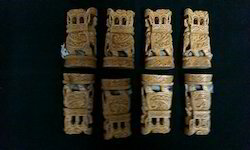 which is snakes, fish, bird, elephant tower, owls, and more items are available. Sandal wood paper cutter is aromatic wood. sandalwood aromatic is famous of the all of the worlds. 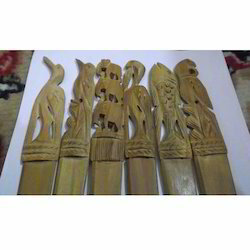 Any product made by sandal wood handicrafts. we are provide to our client topmost competitive prices. 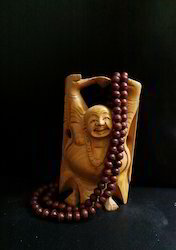 This happy buddha is one of the wooden handicraft product. This wooden happy buddha is made by white normal wood. We are manufactureres better quality then others. we are provide to our clients most compatative price.